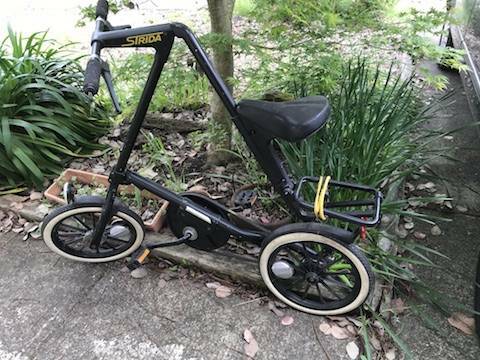 Strida Forum • View topic - Strida 1 any value? 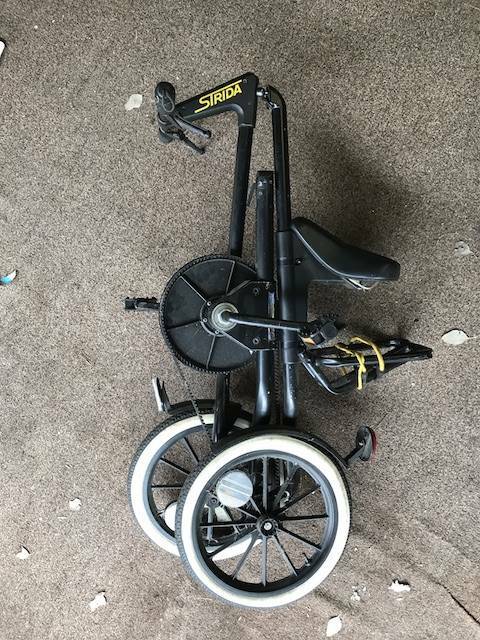 Hi, I've had this Strida 1 in my garage for a while and wonder if it might have any value. 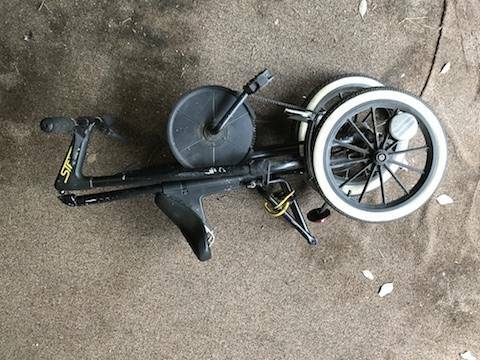 The back edge of the front fender and a small part of the gear cover are cracked off, otherwise it seems to be in good condition. 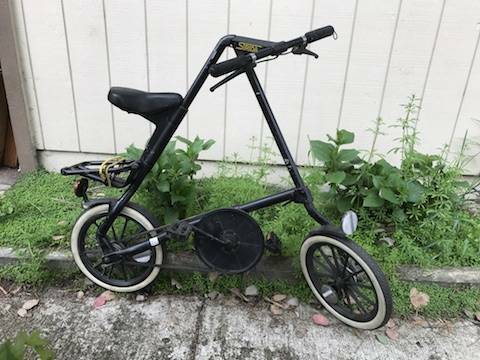 Anyone in Northern California interested in it?